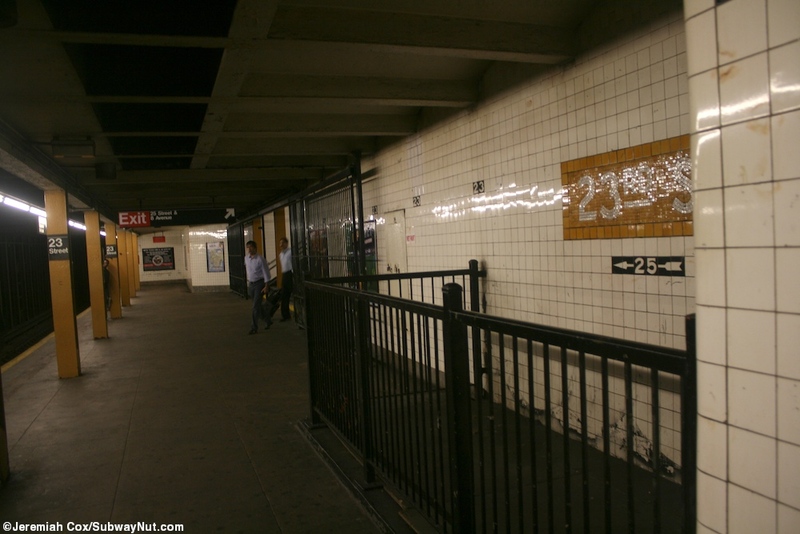 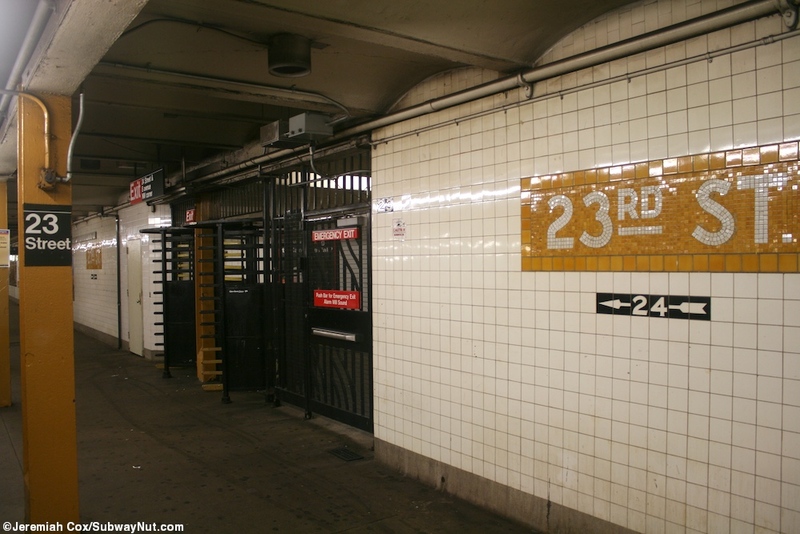 23 Street is a local stop with the 4 tracks located just beneath the street so the two side platforms have all their fare control areas directly on the platforms but there is an underpass, still open connecting the two platforms at their southern ends so all entrances say the direction they lead to and also underpass to the opposite direction. 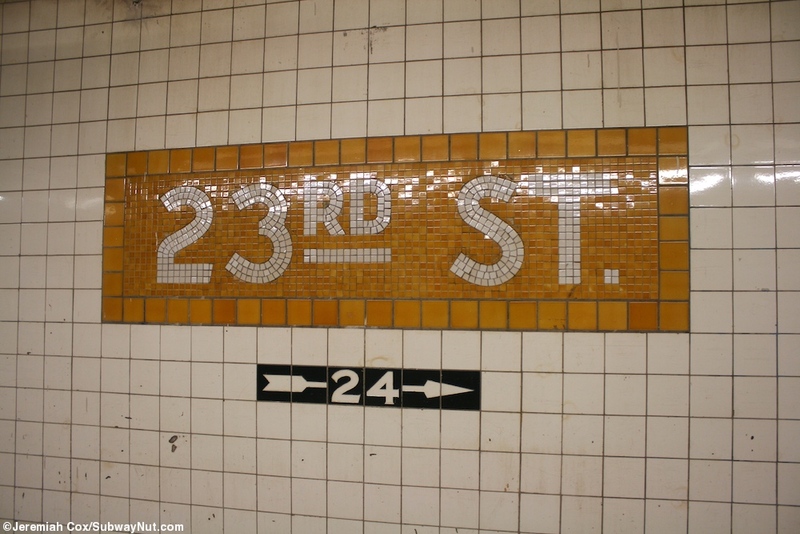 The station platforms have a no trimline just a line of little black tiles that say 23. 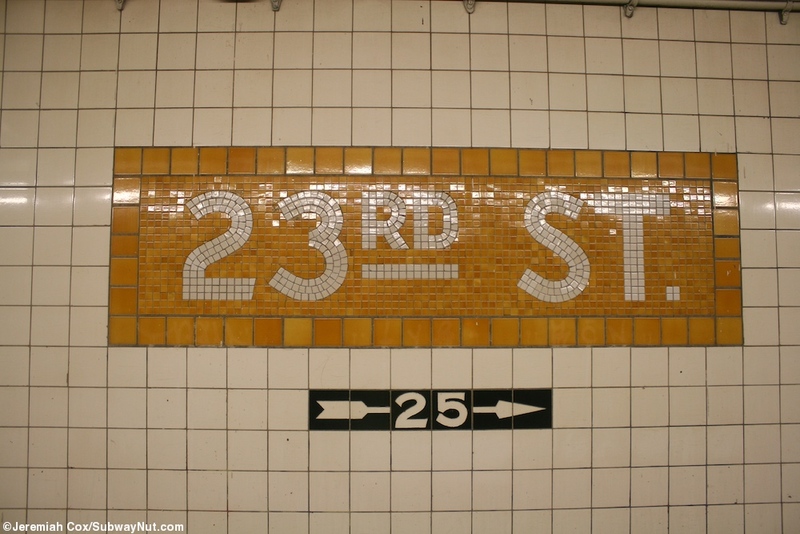 There are yellow name tablets that say 23RD St in white text. 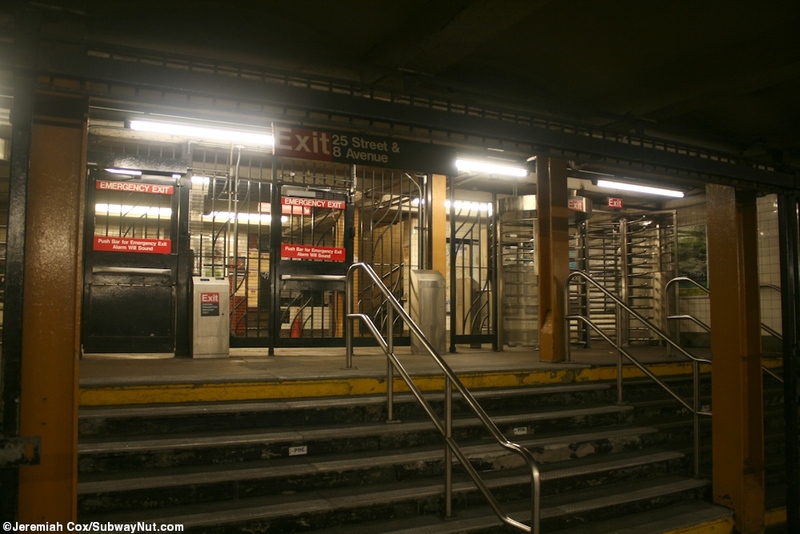 For exits the station is a rarity in that all from opening day to three different intersections remain intact. 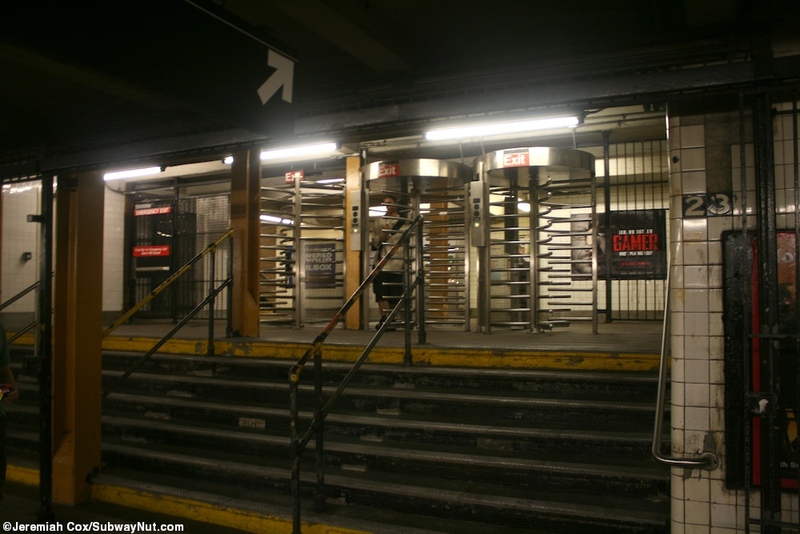 At the northern end of the station both platforms have short staircases up to high entrance/exit turnstiles. 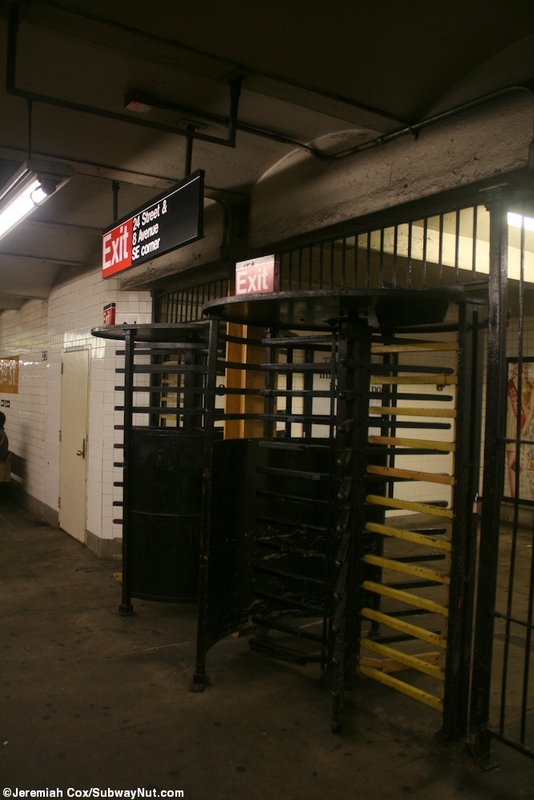 These from the uptown platform to two 2 street stairs at the NW and one at the SW to 25 St and 8 Ave. 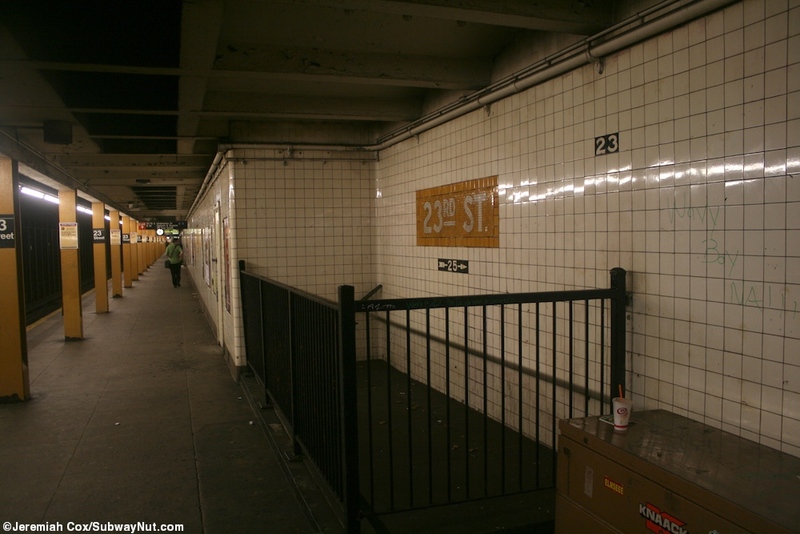 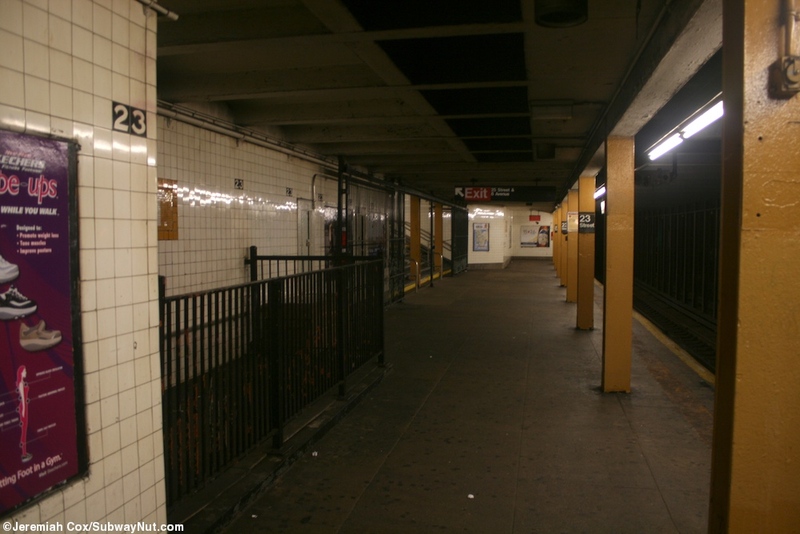 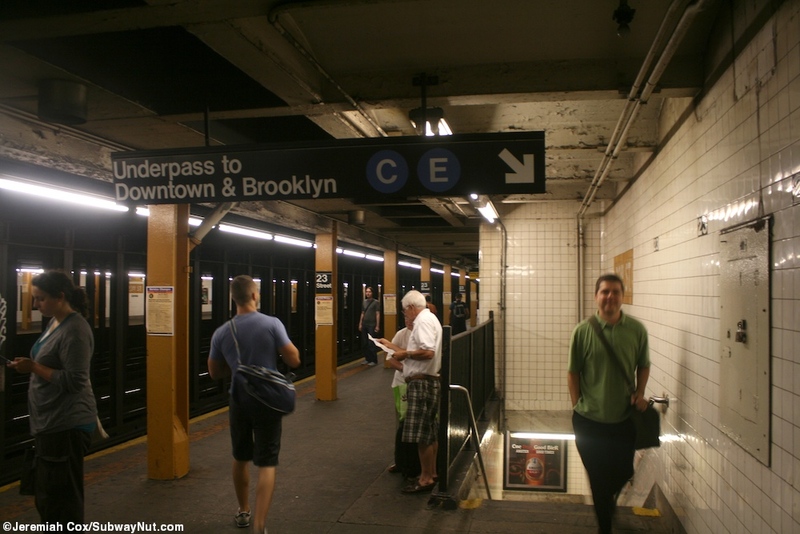 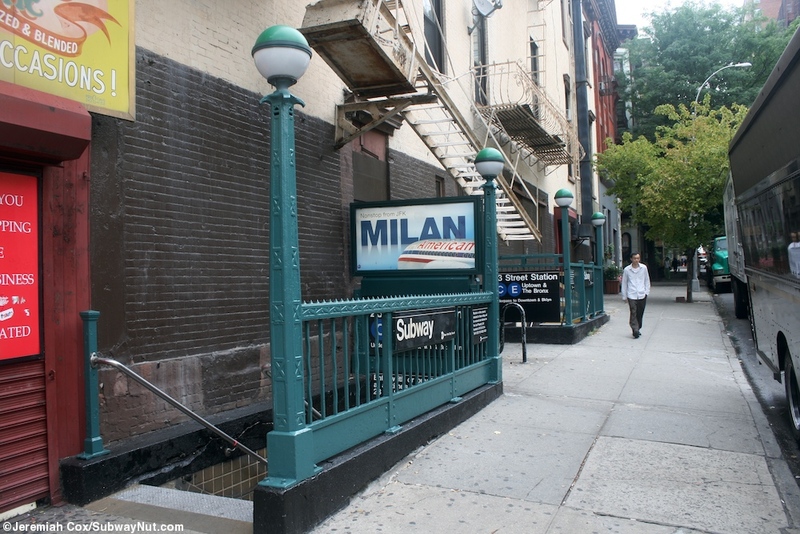 The downtown platform has one streetstair each at the NE and SE corners of 25 St and 8 Ave. 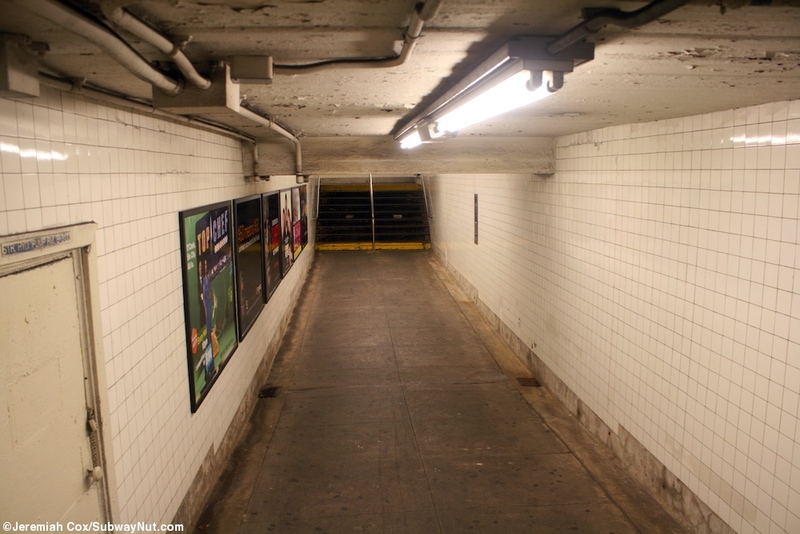 There is an abandoned underpass there as well. 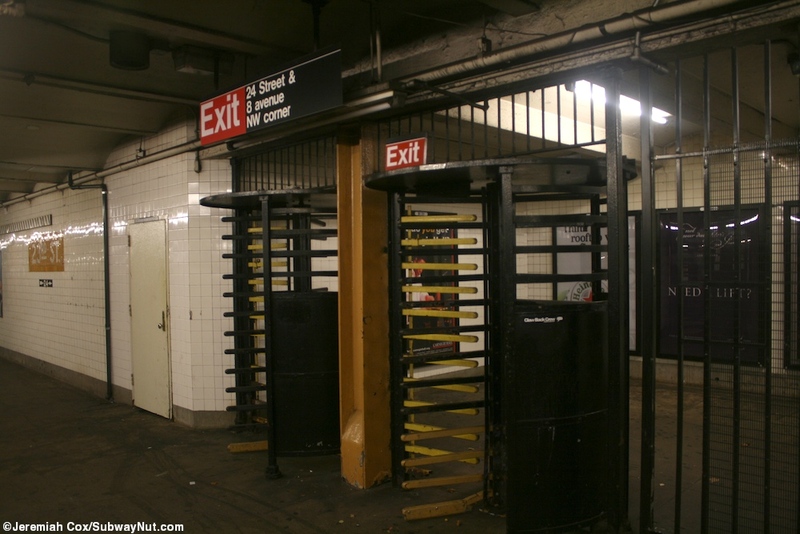 Next on the downtown platform there is a high exit only turnstile up to a streetstair at the NW corner, and on the uptown a high exit only turnstile to the SE corner of 24 St and 8 Ave. 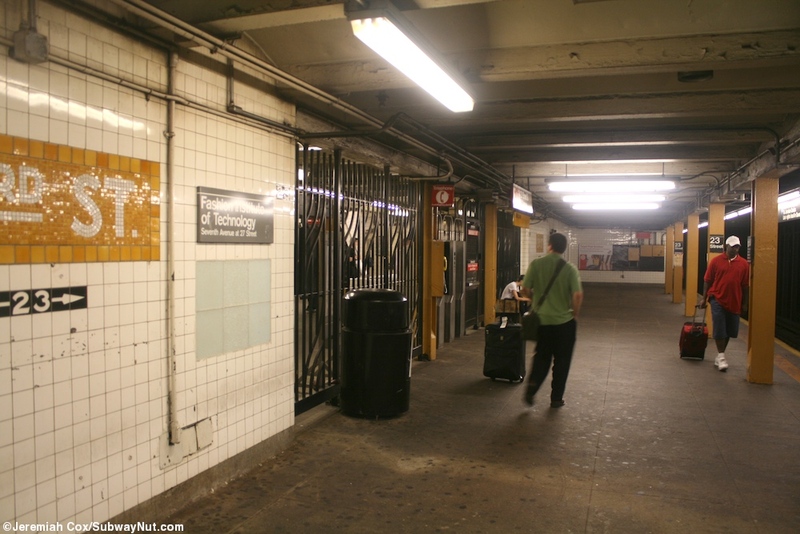 The regular turnstiles are at the southern end of the station and just before them is the aforementioned underpass connecting the two platforms. 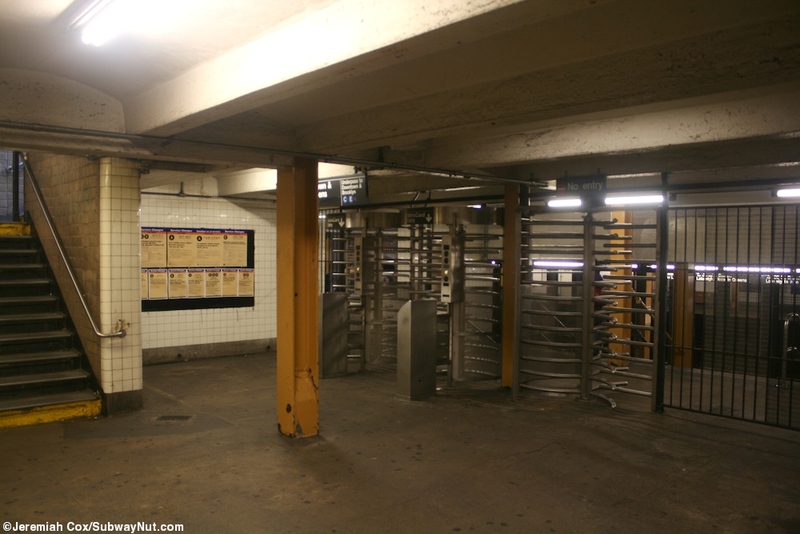 On the uptown platform there is the one remaining token booth and streetstairs at the NE and SE corners. 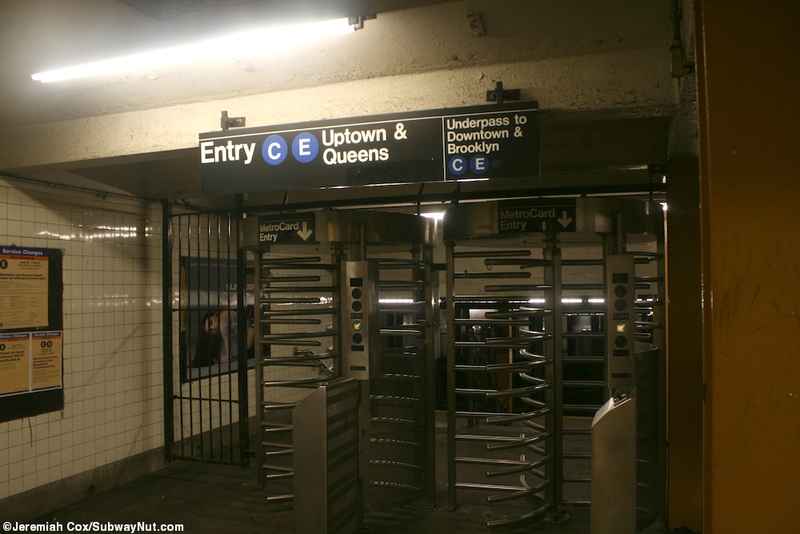 The downtown platform has now unmanned turnstiles that lead to street stairs to the NW and SW corners.